Happy, happy Friday! I hope you have big plans this weekend. I have big plans today! 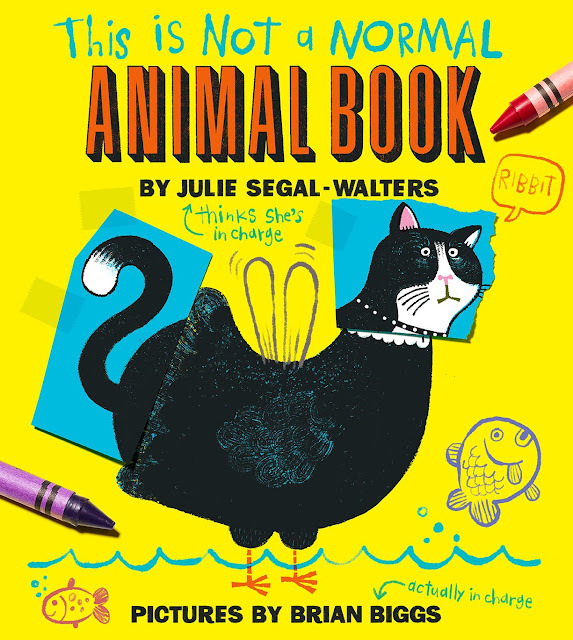 I'm revealing the cover for This Is NOT a Normal Animal Book by Julie Segal-Walters and Brian Biggs. Brian dropped by to share the cover and finish my sentences. Thank you, Brian! The cover for This is NOT a Normal Animal Book isn’t actually the cover. The real cover is hidden underneath the cover, acting as the case cover. It’s like the straight guy. A no-nonsense, no sense of humor, pretty boring cover that gives nothing away, while the jacket is the clue to what’s going on in the book. I sort of refer to the two covers as “my cover,” which is the vandalized jacket and the one that will be seen most often, and “Julie’s cover,” which is the un-sullied case-cover and the one that will likely be the more familiar one over time, as readers lose or remove or destroy the dust-jacket as my kids always did. Not that Julie is by any reasonable approximation the straight guy here. I mean, she did write this thing. It was all her idea. Mammals, birds, amphibians, invertebrates, reptiles, and fish ostensibly represent the structure and main characters of this book. But things quickly fall apart when the author of the book, and by “author” I mean the unseen meta-author character (I don’t even know how to explain this) decides that she doesn’t like what the illustrator, the character of the meta-illustrator, as opposed to me the actual illustrator, is doing and starts making demands. The meta-illustrator decides he’s had enough of the meta-author, and everything predictably goes south. And by south I mean meta-south, not the actual south. Julie Segal Walters and I actually get along fine, and no authors or illustrators were harmed in the making of this book. I thought the script was awesome bonkers when I first read it, and I’m fairly certain that she was pretty happy with the “illustrations” I did. That I guess is why this is hard to explain to people. Okay, well, the book is about animals, but actually it’s not. It’s about the creative process and the collaboration, or lack thereof, that goes into making a picture book. See, the writer, she’s got this idea in her head… no, not the actual writer, not Julie. The fictional writer, who has no name but we’ll call her “Julie.” She has this idea and doesn’t like what the illustrator is drawing, so… no no no, Julie loved what I was drawing. “Julie” didn’t, however. That’s the whole point of the book, see. “Julie” doesn’t like where “Brian” is going with the drawings. So she starts inserting commentary and instructions in the text. This makes things difficult for “Brian,” and even though he stays pretty good-natured through the first third of the book, he finally can’t take it anymore and starts just drawing whatever he wants. No, see, I didn’t just draw whatever I want, I had to follow the text. The text was great. No no no, “Brian” didn’t like the text. Brian, me, I loved it. Yes, Julie liked my drawings. No, “Julie” didn’t! Nevermind! The stunning thing to me is that this is Julie’s very first book. Normally I’d expect a book that takes apart the process of making a book to come from someone who has made a book. Probably someone who has made a lot of books. Someone who has seen things. Someone who has that three-hundred yard stare of being in the trenches for years, and dealing with illustrators and the collaborative process. If this was my first picture book, I wouldn’t have known what to do with it. 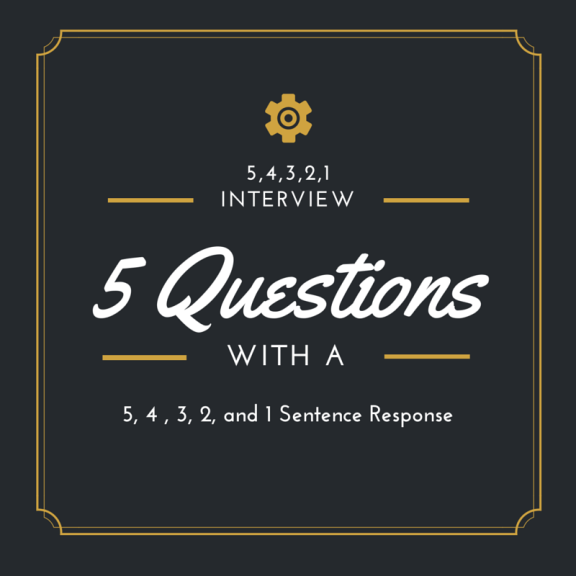 My experience working with a dozen big-shot famous authors definitely informed the way this book went. And to that I say, you’re doing it wrong. Mr. Schu, you should have asked me about the actual collaboration between the author and illustrator here. Between actual Julie and actual Me. This is something that readers, though I doubt your readers, are often surprised to know. One of the funny things about this book is how the creation of the book and the conflict therein happens in “real time.” As if the author is writing the book at the same time that the illustrator is making the pictures. This is one of the things I love about it. It’s just so absurd, since we all know that the process is completely separate and in many cases, this book included, happens literally years apart. I first saw the script for this book in 2014. Which means Julie wrote it like three years ago without having any idea who was going to make the pictures or what they would look like. We had almost zero communication as I was making the pictures, so the idea of it being a “collaboration” is really nonexistent. 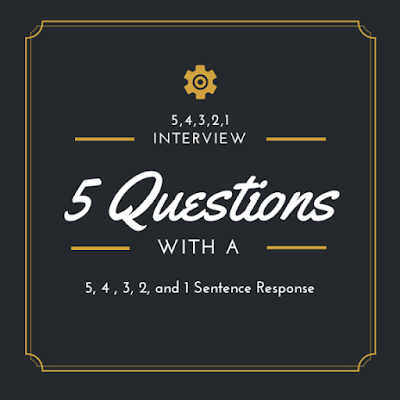 I enjoy talking to readers who think that the process of making a book is somehow immediate and involves some kind of back-and-forth between the author and the illustrator. Or, just as often, assumes the author is “the boss” and the illustrator just draws what the author tells them to. I usually hear this from kids, though it’s true that a lot of adults believe this as well. I can’t speak to Julie’s intent with her script, but this was thinking about when I read it. The writing and the drawing was somehow taking place at the same time, and the illustrator is merely following directions. As if the illustrator had no idea what was going to be one page as he was drawing the previous page. The page turns surprise “me” just as much as they do the reader, and then the “author” comments on them and changes the text because of them as if it’s all happening right then. It reminded me of that wonderful Daffy Duck cartoon “Duck Amuck” where an unseen animator is tormenting Daffy by drawing and erasing backgrounds and even Daffy himself as the cartoon is taking place. As a kid, I knew that there is no way that this was actually happening or even possible. But I loved the idea of it. Of toying with the timeline. Later, as I learned about the animation process, I realized how even more surreal the whole thing was. So when I read Julie’s script, I knew it was something I wanted to tackle. Look for This Is NOT A Normal Animal Book on October 17, 2017. How fun! Colby Sharp revealed THIS IS NOT A NORMAL ANIMAL BOOK's case cover. OK, I can see why Julie does the writing, and leaves the art to Brian. I'm slightly confused and wholly fascinated!! (That was the point, right?) If this book is half as clever as this double reveal (and I expect it is!) then I predict great things for it. Thanks for a super fun interview, Mr. Schu. And big congrats to Brian & Julie.